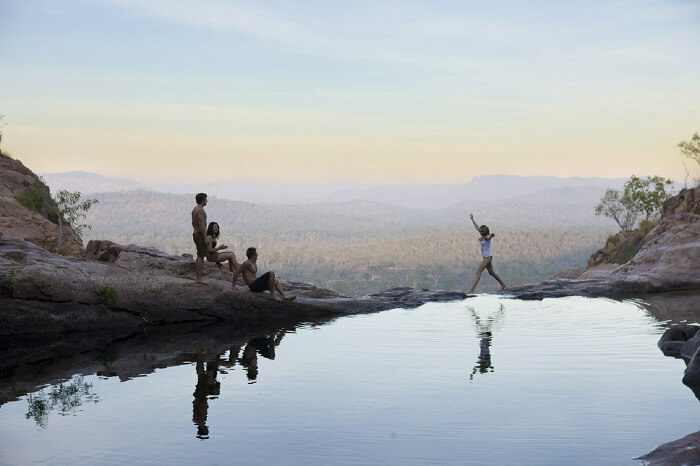 Discover everything Kakadu has to offer on this 2 Day Kakadu Tour that exposes you to stunning waterfalls and sleeping under the stars. 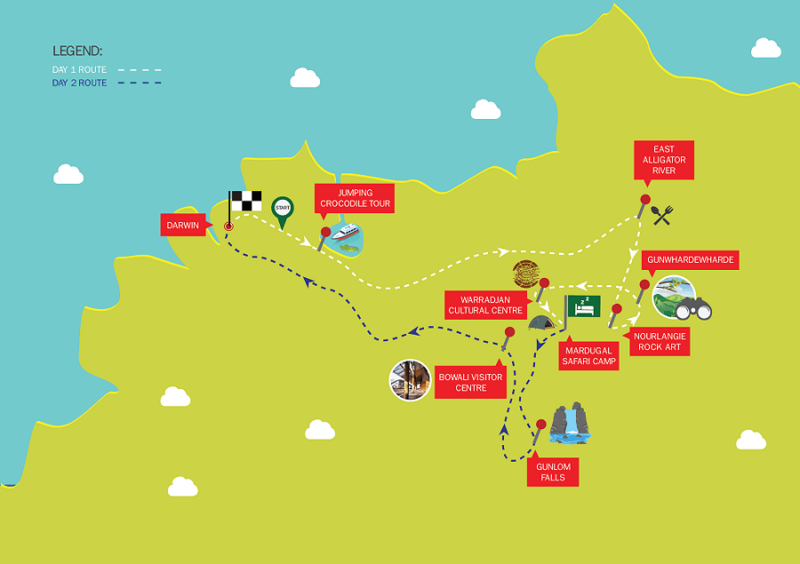 You’ll travel around in a 4WD to experience all the hidden gems in the region. Comfortable walking shoes, 1 litre water bottle, insect repellent, sunscreen, weather appropriate clothing (including a rain jacket and a long sleeved cotton shirt), sleeping bag, camp pillow / small cushion, swimmers, towel, hat and a torch or headlight. Please note: we have limited space on our 4WD transportation and therefore luggage is limited to one medium sized soft bag or backpack (max 10kgs) and a day pack per person. Large backpacks or suitcases cannot be accommodated and should be left at your accommodation in Darwin for the duration of the tour. Sleeping bags can be hired for $15 per person (paid in cash on the morning of the tour before departure). 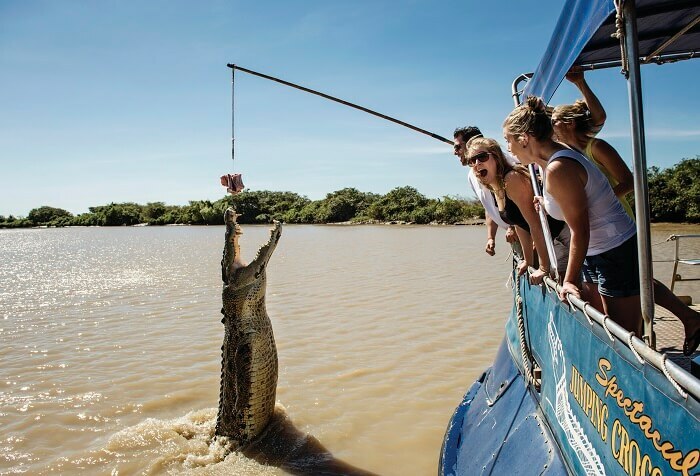 We’ll begin the 2 Day Kakadu Tour by heading straight to Kakadu and joining a crocodile jumping cruise, where you can learn more about Australia’s prehistoric critters and spot more of the unique wildlife that resides in this part of the country. Afterwards, we’ll head on into the park for a picnic on the banks of the pretty East Alligator River. Keep your eyes peeled for some crocodiles and flying foxes and you refuel. 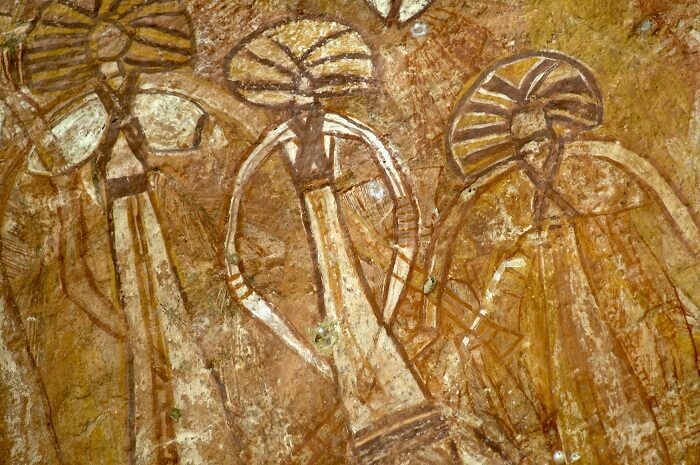 Next, it’s on to Nourlangie Rock, where you can explore some of the world’s oldest rock paintings that date back thousands of years. We’ll take you on a leisurely stroll up to Gunwhardewharde lookout for incredible views across the scenery before making our way to the Warradjan Cultural Centre to learn more about the Aboriginal heritage of the park. Finally, we’ll head to Mardugal Safari camp, where we’ll tuck into a delicious Aussie BBQ and bed down for the night. We start the last day early by heading straight to Gunlom Falls or Yurmikmik. 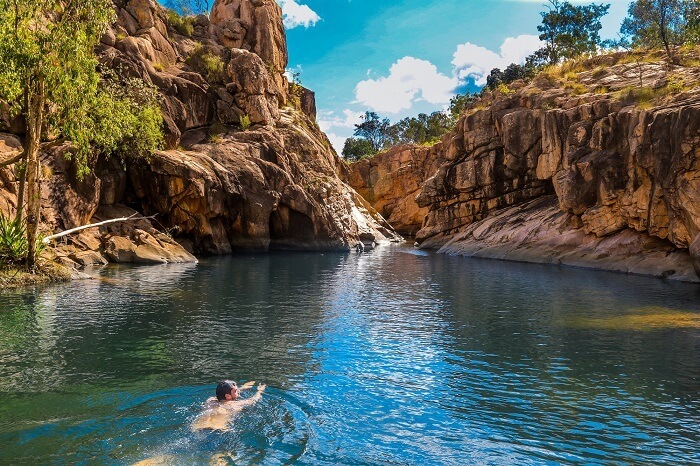 After a couple of short walks, you can cool off with a refreshing swim in the plunge pools before we head on to the Bowali Visitor Centre to learn more about the rich heritage of the region. From there, we head back to Darwin, where the 2 Day Kakadu Tour unfortunately comes to an end. Please Note: Sleeping Bags can be hired for an additional $15 per person. Please note: The times given from the list are the approximate time of pick-up, the exact time will be shown on your confirmation email.